The University’s Walking for Health group, Lunchtime Strollers, has been going for over seven years and has been involved in numerous events over the years. This month they are busy raising awareness and funds for Maggie’s Cancer Centre in Manchester, near The Christie hospital. 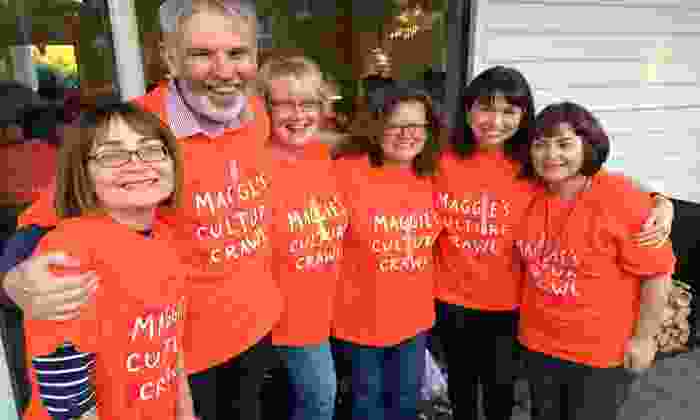 It costs £590,000 a year to keep a Maggie's Centre open, and any monies donated will help Maggie's continue to provide emotional, practical and social support to people with cancer and their family and friends. Last year they raised over £700 and are hoping to do better this year. If you are able to support the Lunchtime Strollers you can donate via their JustGiving account. If you would like more information on the Lunchtime Strollers group or these events email the Lunchtime Strollers.